Welcome to the World of iLand Luxury Travel! iLand Luxury Travel is a full service boutique travel agency specializing in luxury travel worldwide. With our worldwide connections and relationships built over the past 20 years you are in well experienced hands. Cruising with specialized shore excursions worldwide. Adventure, Exploring, Experiencing the world at its best! Expedition style cruising, Arctic to the Antarctic! Our focus is on you and ensuring that you get the best of the best when it comes to your travel arrangements. 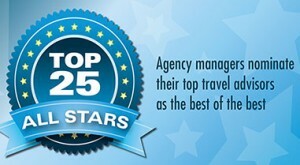 As a boutique virtual agency, we highly value personalized service. We’re on your schedule, partnering with you to create your perfect luxury travel experience. Our expert agents are passionate about travel, and passionate about helping you achieve your travel dreams. Contact Us today to start your next wonderful adventure whether you are looking to celebrate a special occasion, life-time achievement reward or a private get-away!